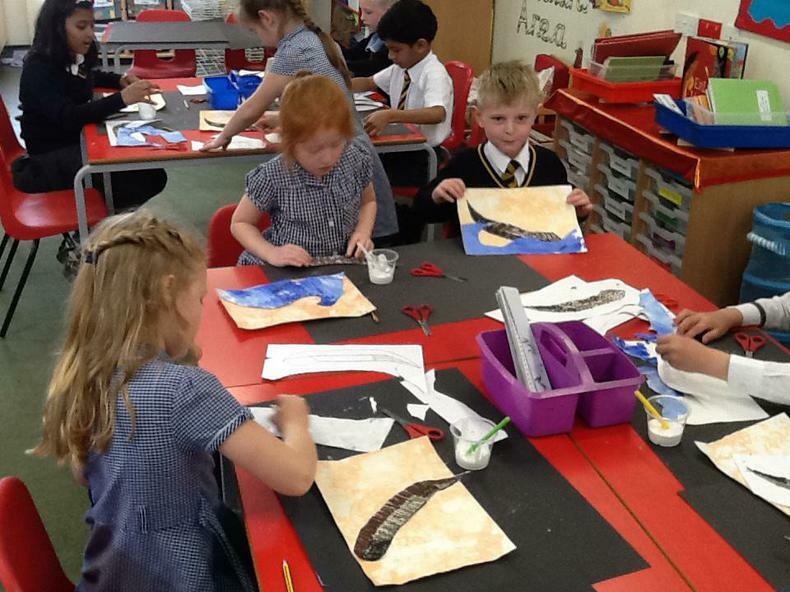 Our artwork has been inspired by our love of learning about Horatio Nelson, thinking about the sea and life aboard a ship. 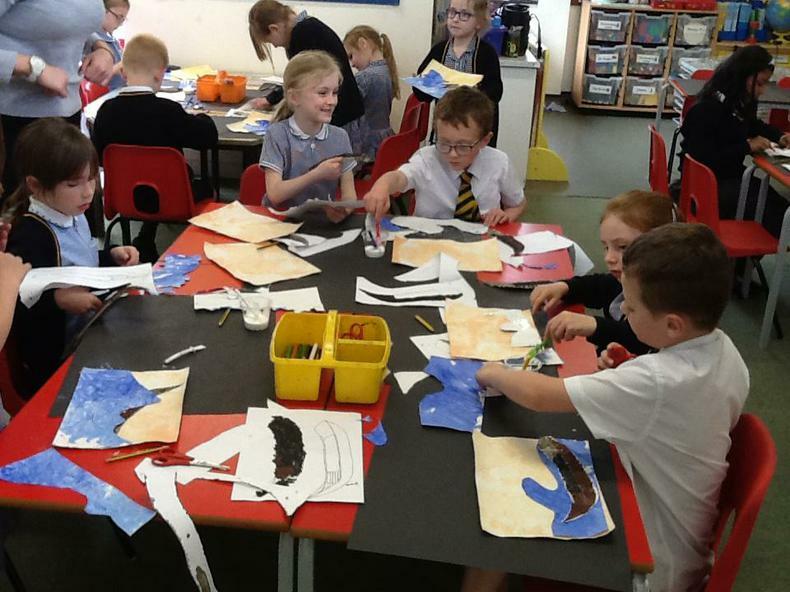 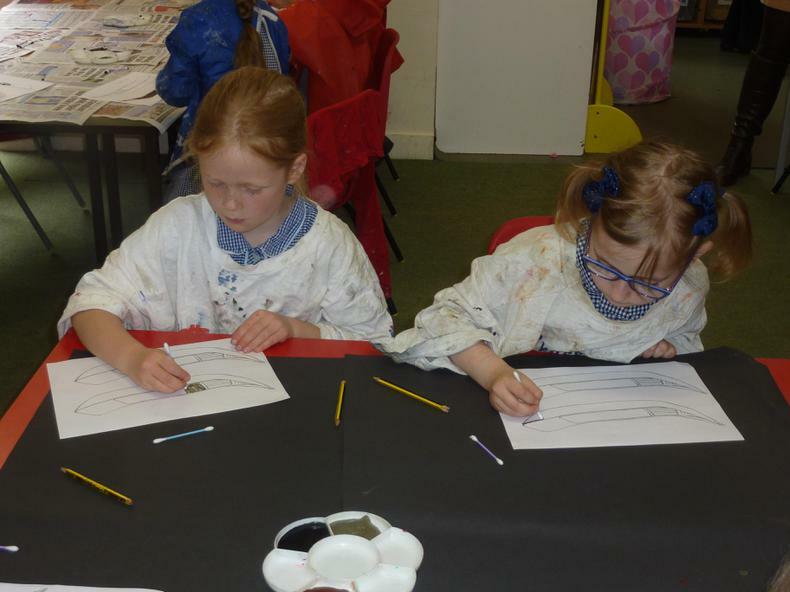 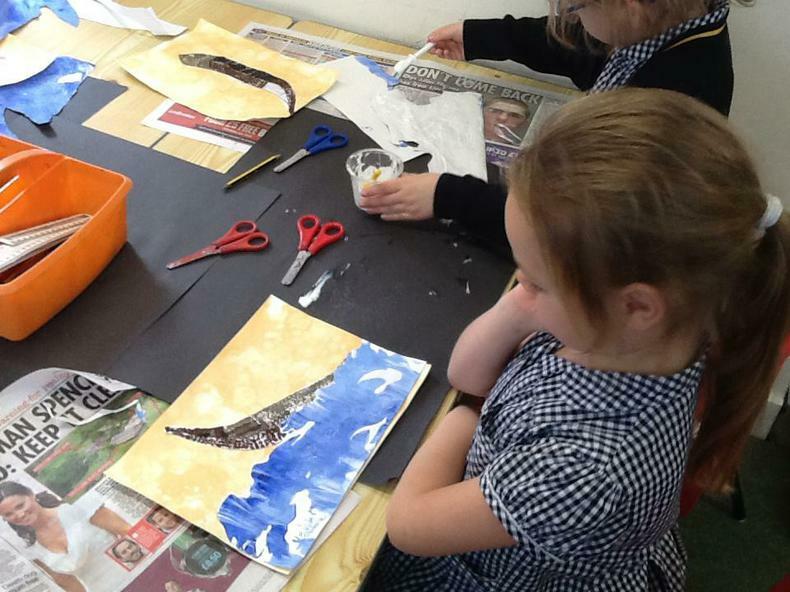 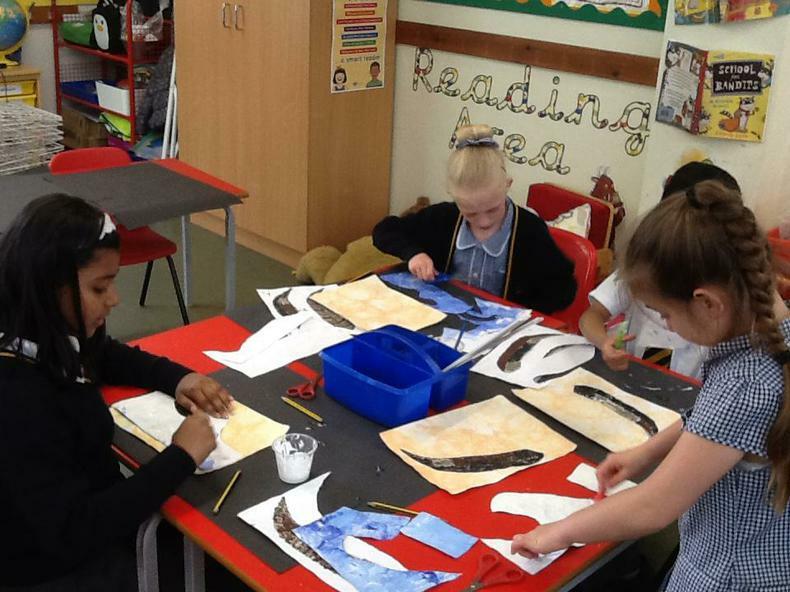 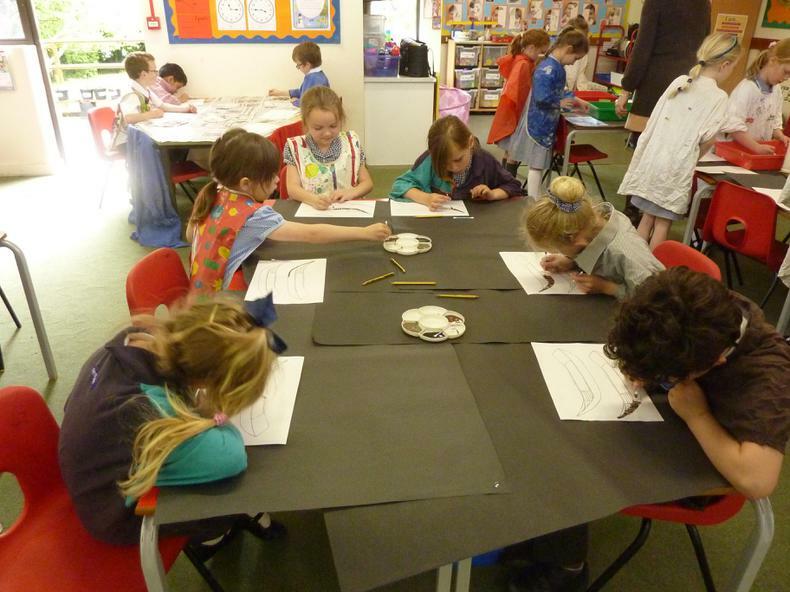 In Year 2 we have been looking at the work of the famous Japanese artist Katsushika Hokusai. 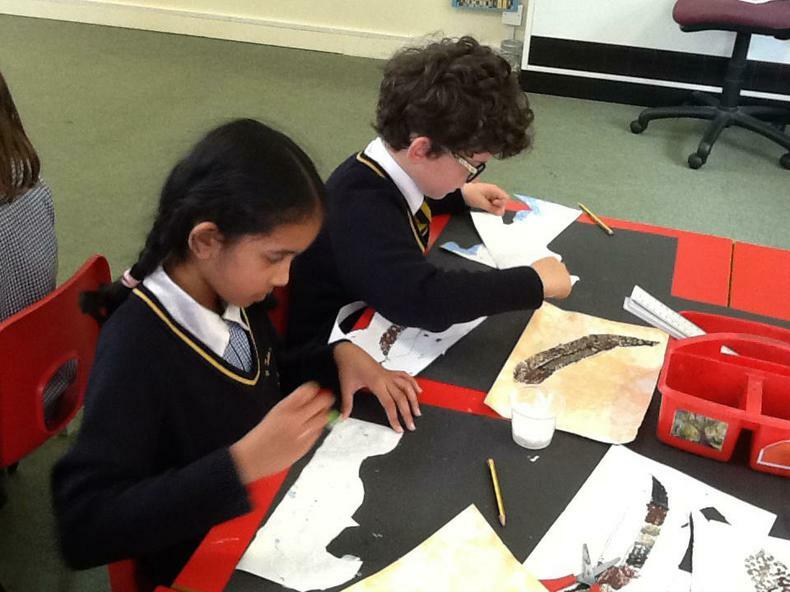 We started by finding out how the print was made using intricate carving back in the 1800's. 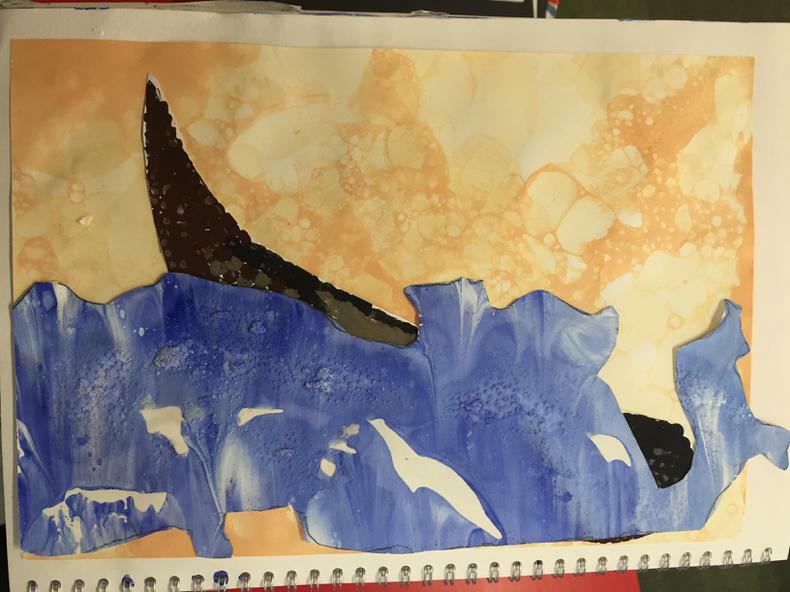 We were all really inspired by the print, so we set to work coming up with ways in which we could make our own interpretations of the Great Wave. 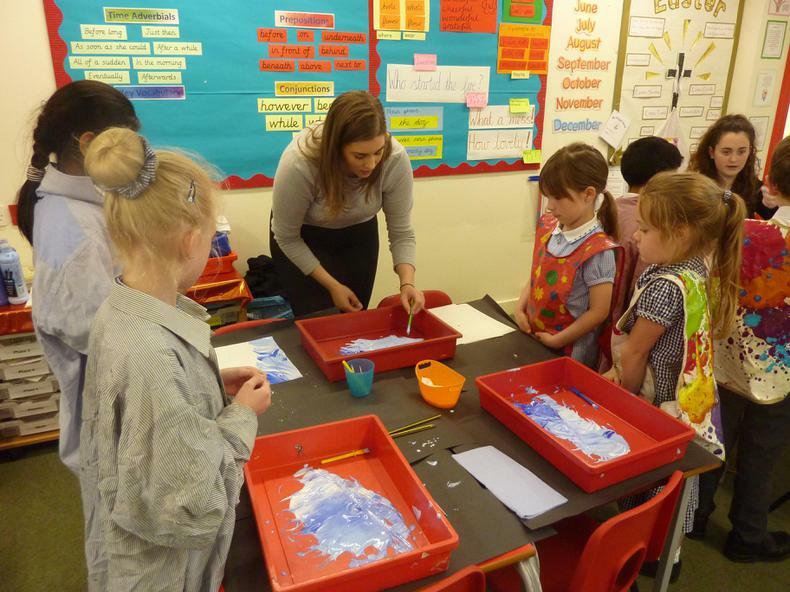 We chose to use a variety of different skills to create our waves. 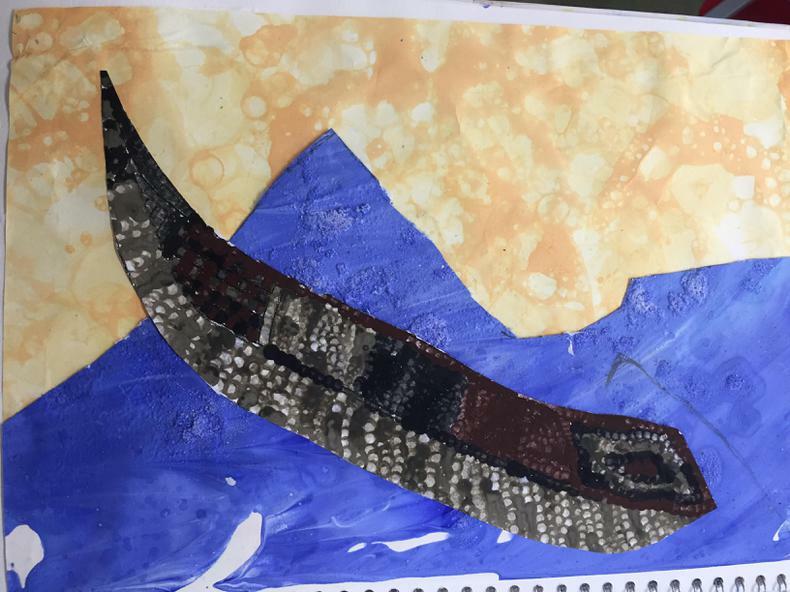 Some methods we knew and others we had to learn. 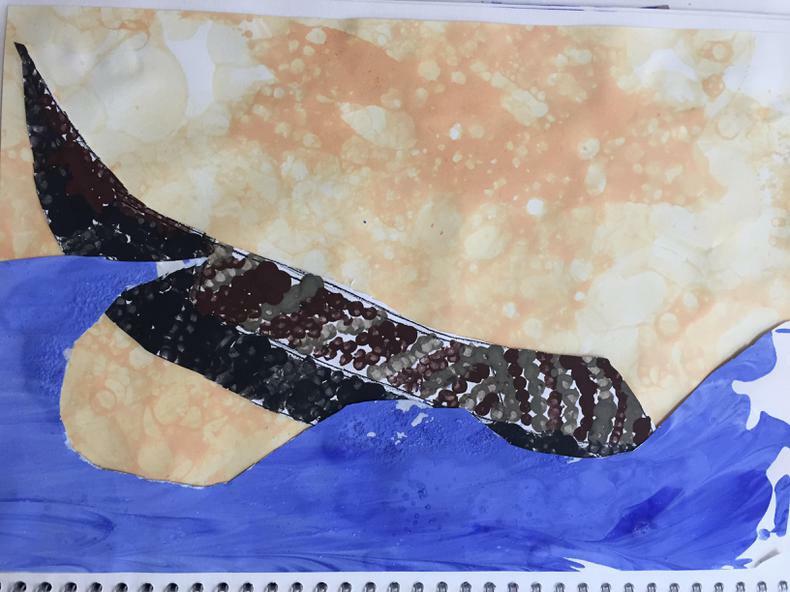 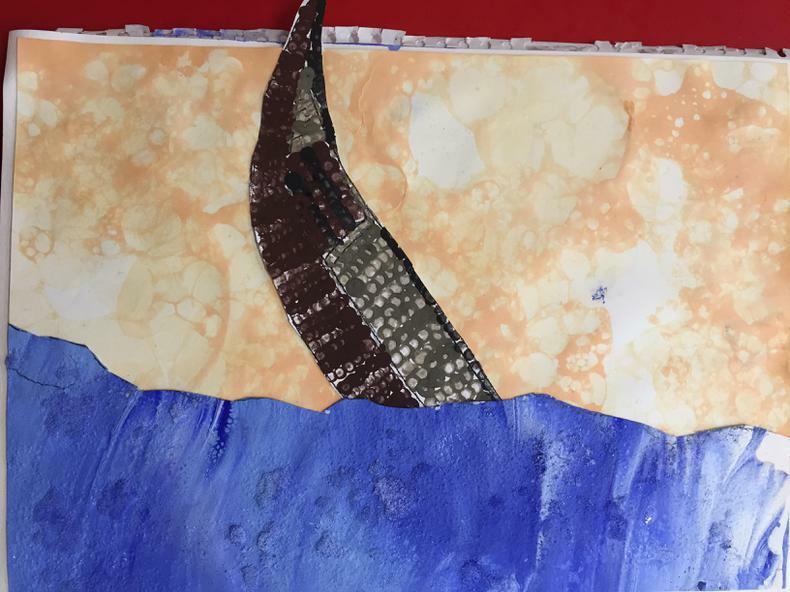 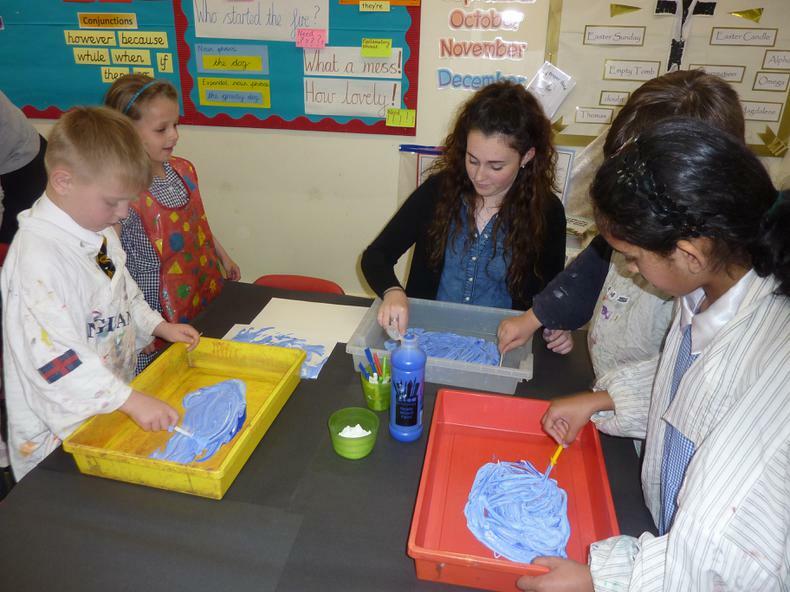 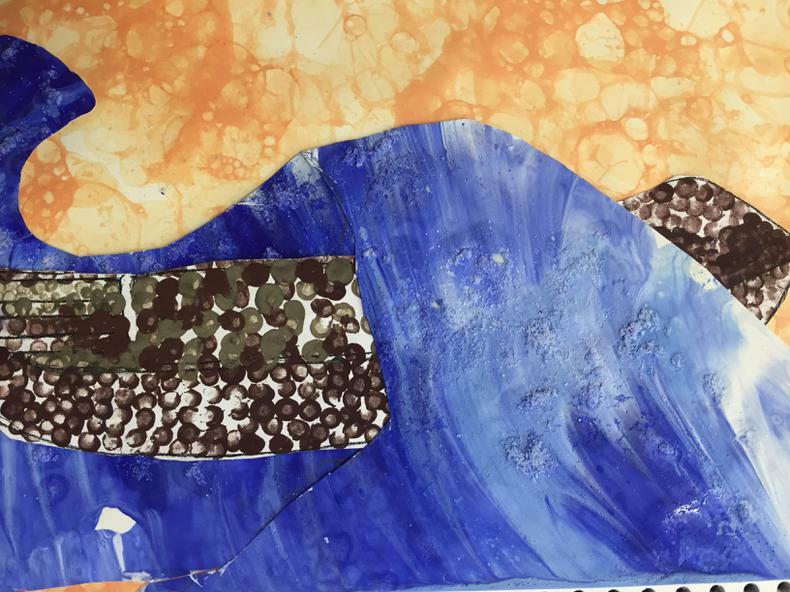 We all began by marbling our wave and using salt to add a different texture and effect to the wave. 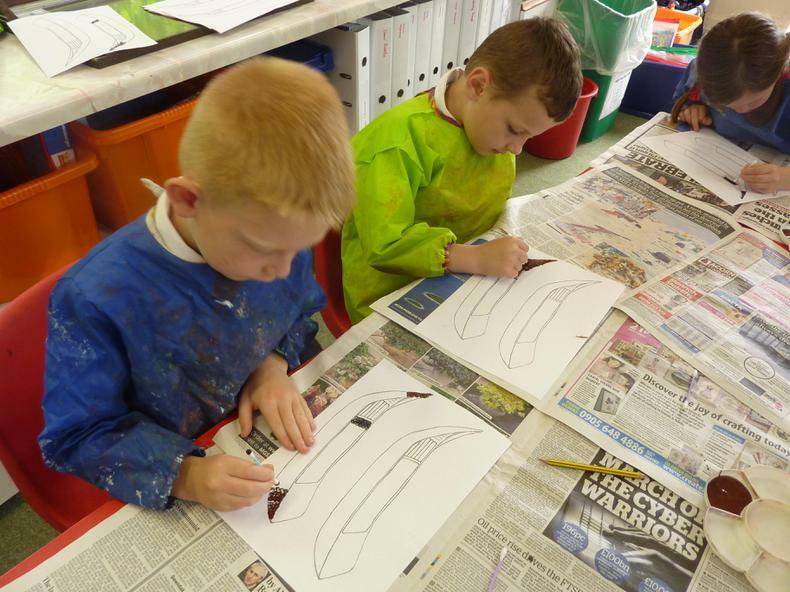 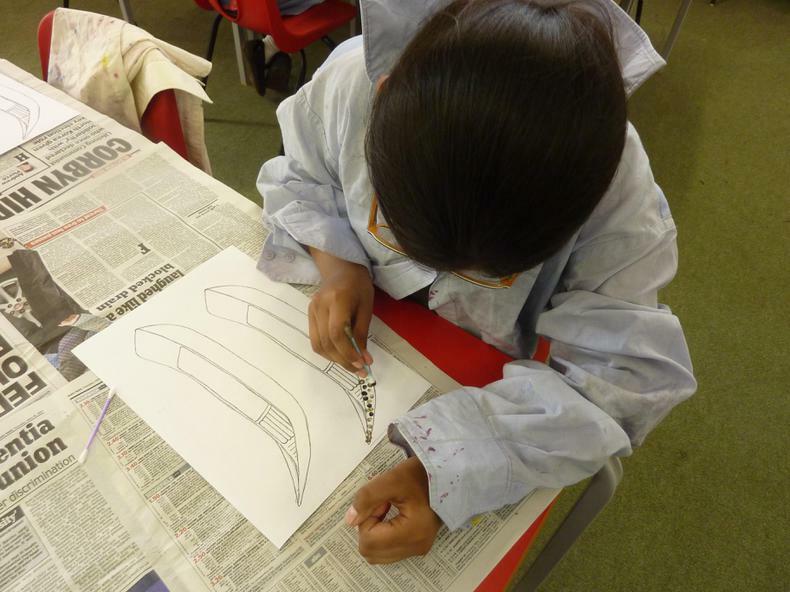 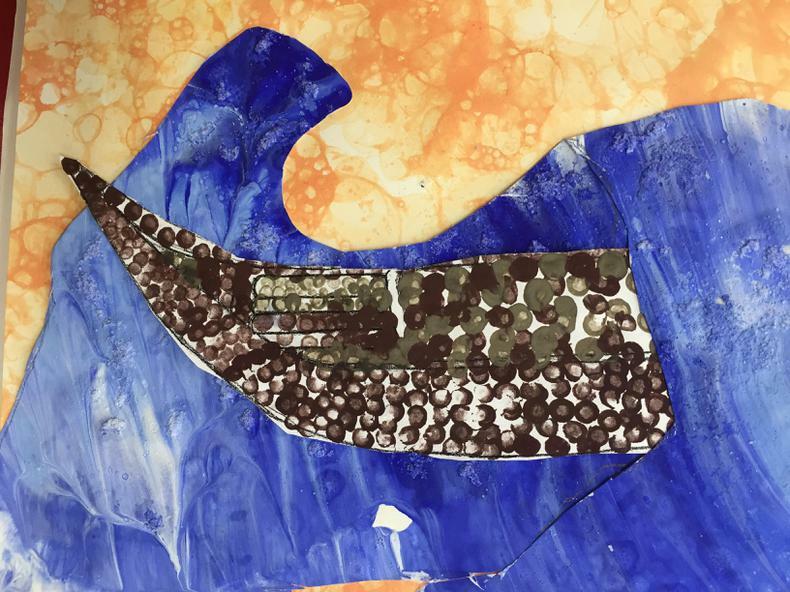 We then revisited pointillism to carefully create our boat, caught up in the big and stormy waves! 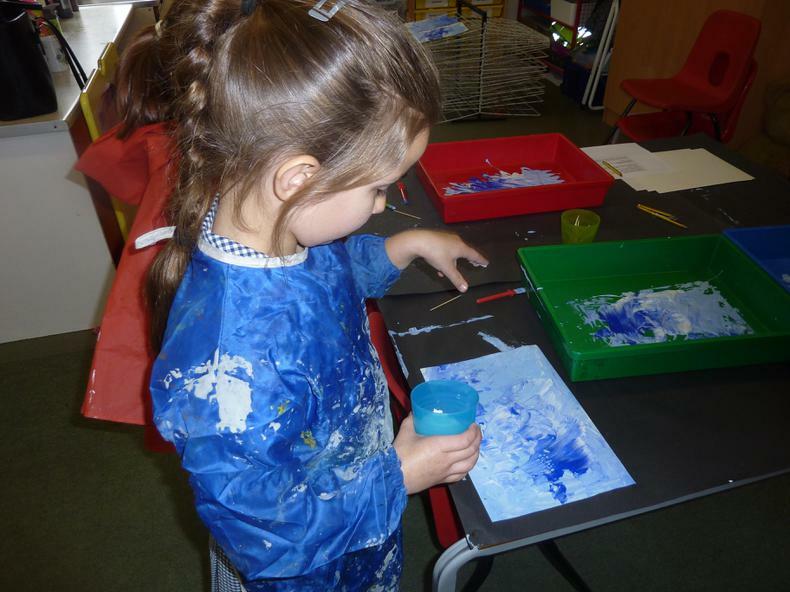 The background was created using another new skill- Bubble Art. 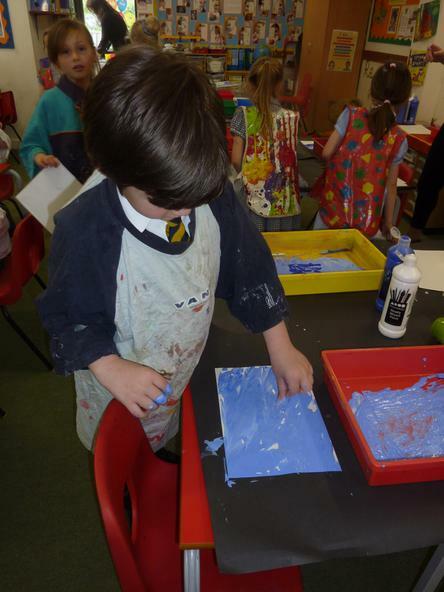 We all enjoyed blowing the bubbles and getting creative with different techniques to make big or small bubbles. 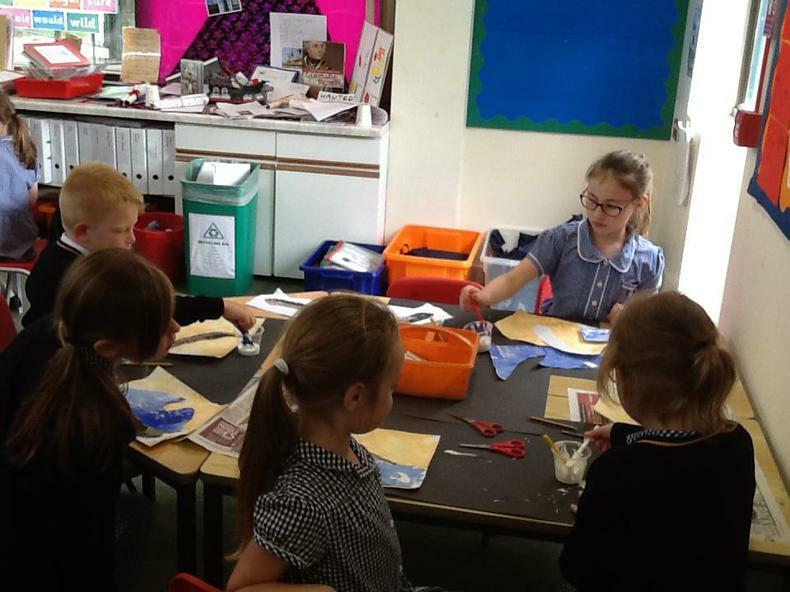 Once we had all of the components for our wave it was assembly time. 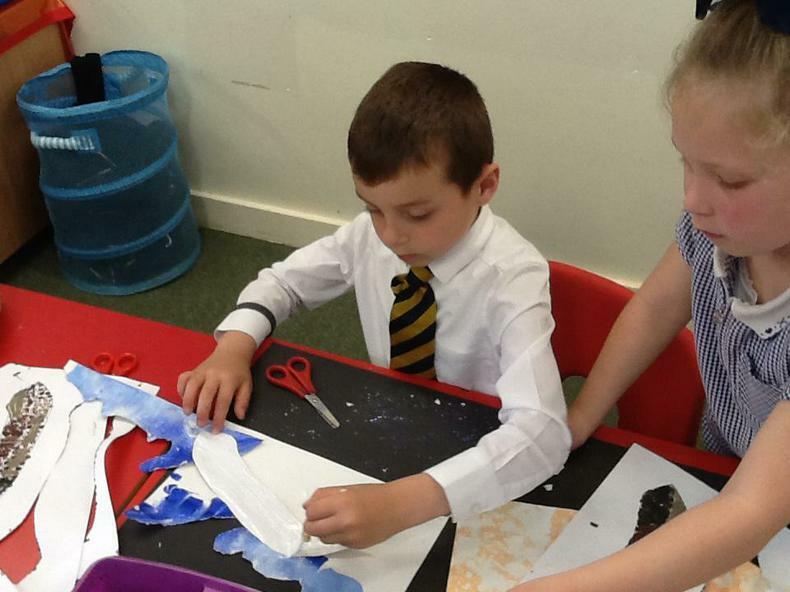 It was important that we carefully planned and considered how we cut out our waves. 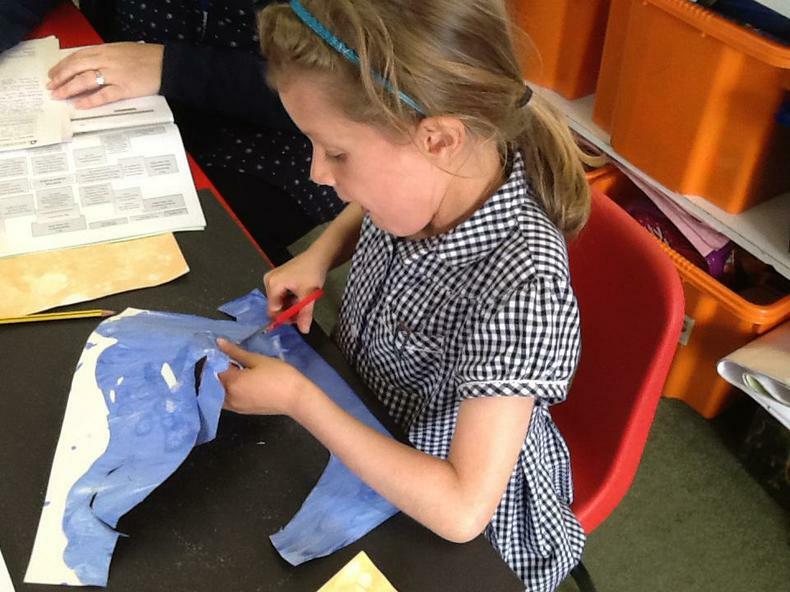 We showed great skills with scissor work when cutting out the boat. 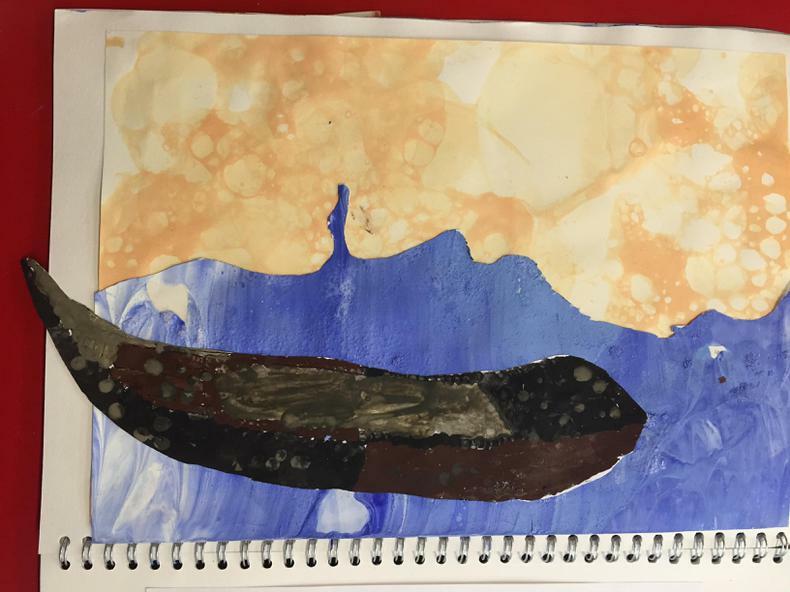 We all really took an interest in how to position our boat in the waves. 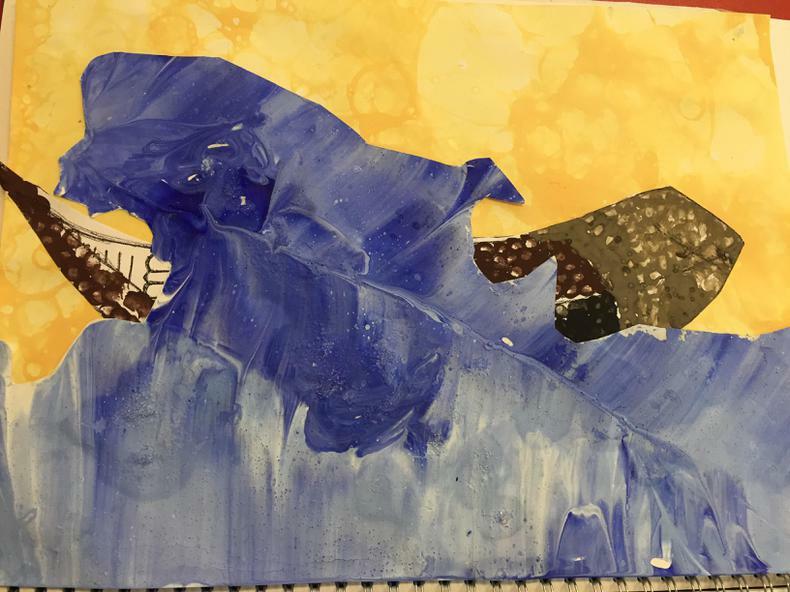 Some of us chose to have it emerging from the waves and others interpreted it as sitting on top of the waves. 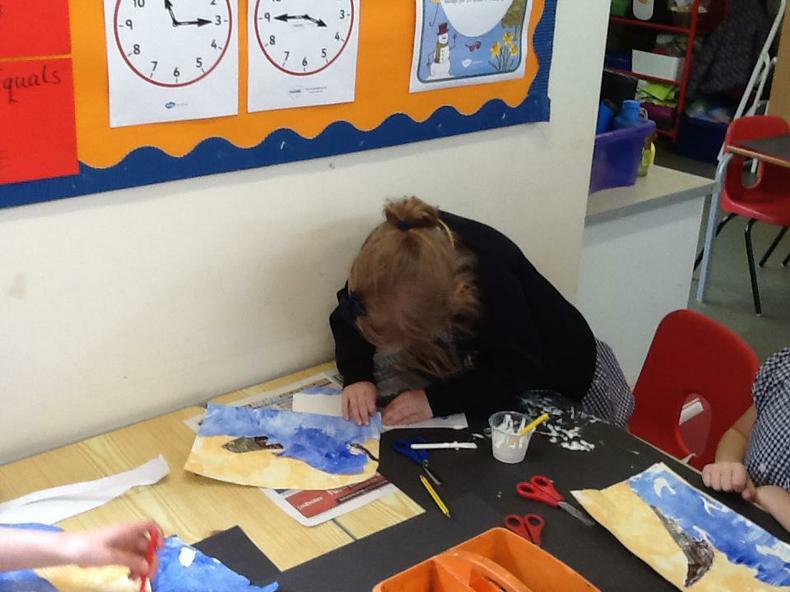 Here are some pictures of us creating our work and some finished pieces, we are all really proud of what we have achieved!